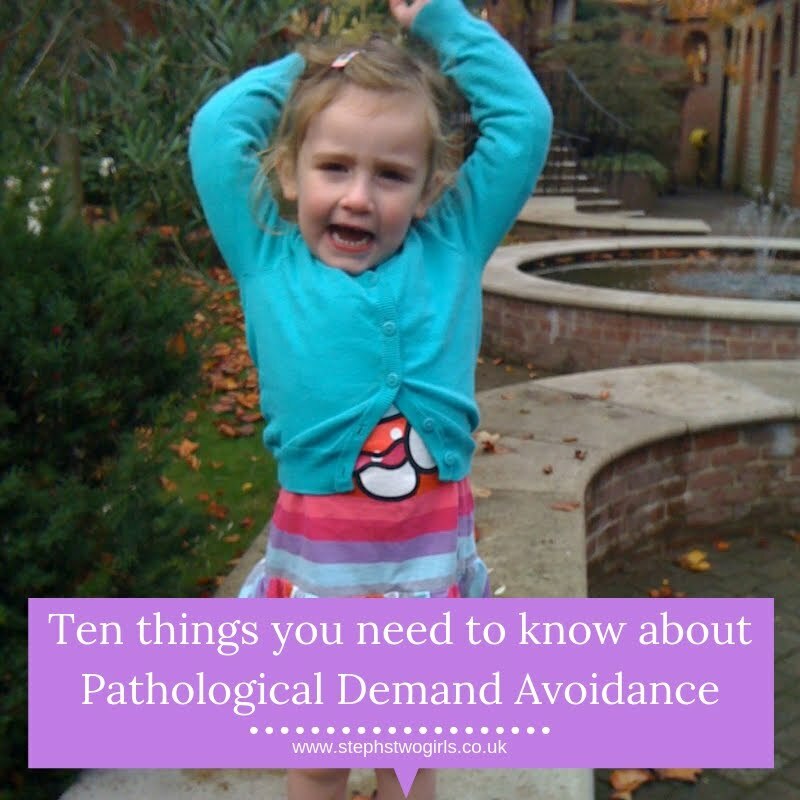 I'm often asked about which strategies can help children with Pathological Demand Avoidance in a school setting. I do know that many strategies were used with Sasha right from the beginning of her life in the Infants school, and these carried on through Juniors. The PDA strategies which we use at home should form the basis of what happens at school, but I appreciate that a school environment is very different and poses different challenges to what goes on at home, so I don't necessarily feel qualified to preach on this subject. 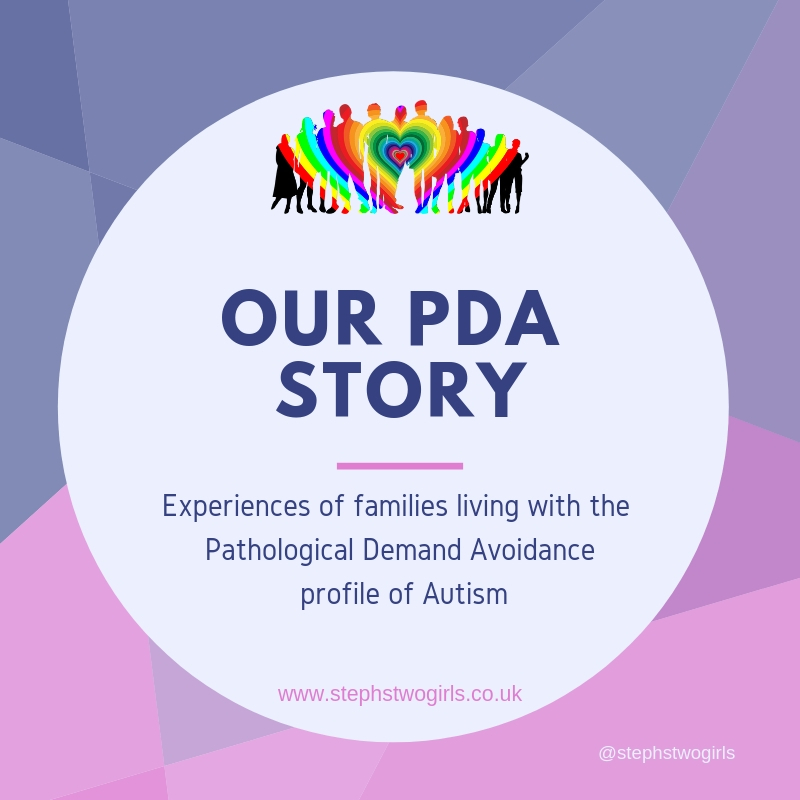 Thankfully, I happen to know a lovely lady who does teach autistic children in a school setting, and of course she has worked with children with PDA. 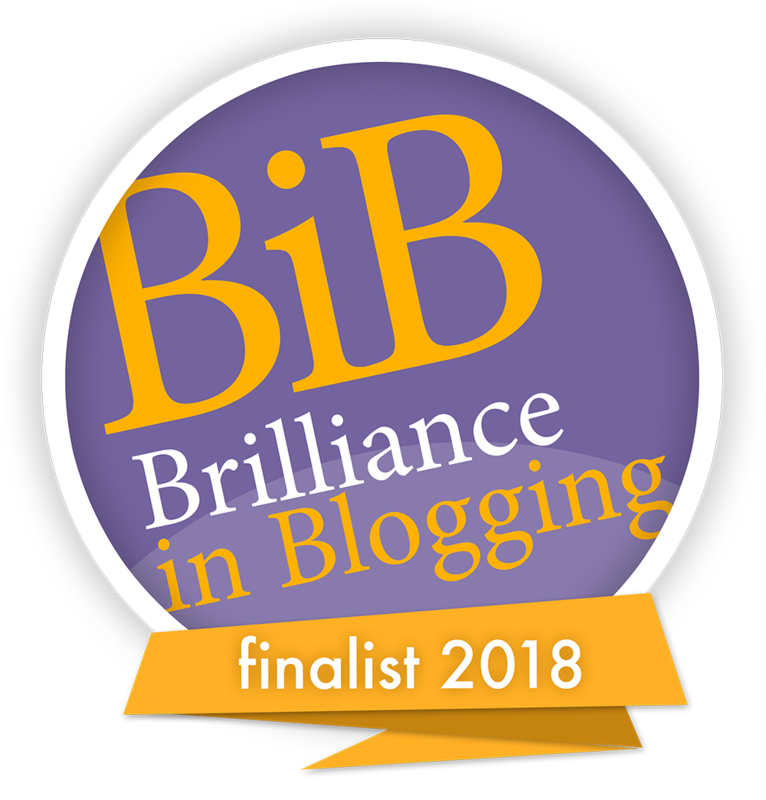 I was delighted when she agreed to write a guest post for me, highlighting some of the strategies which have worked for her. She has plenty of experience of autism as a whole and is sharing this with everyone on her new website Starlight and Stories, so please do visit that and support her. 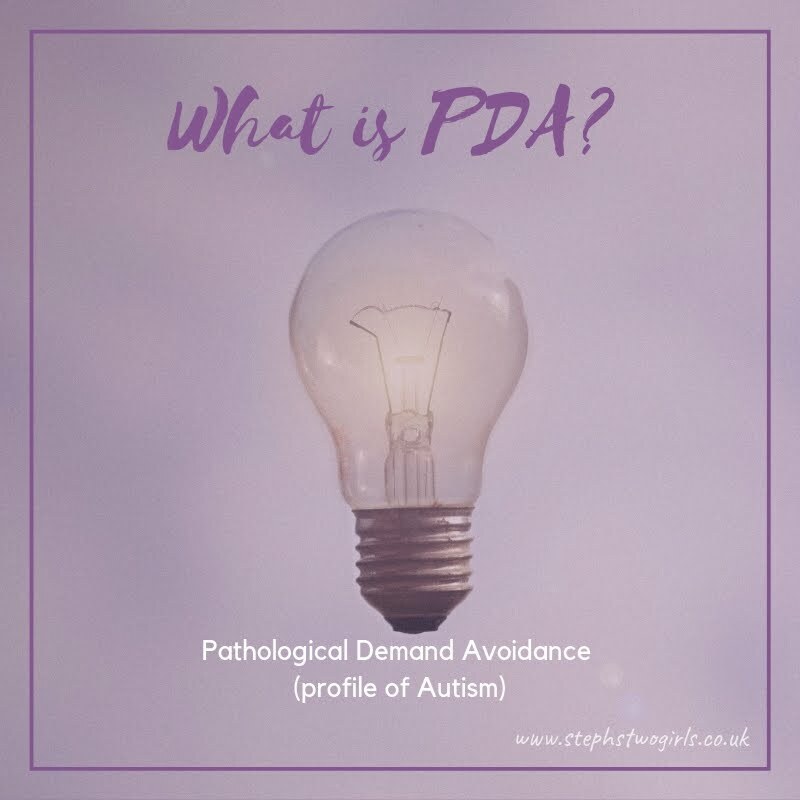 As an autism specialist teacher I’ve come across more children with PDA than most. But that doesn’t mean I’m an expert. Each child is different, and I often find that parents know far better than I do about the best strategies to use with their child. That said, there are a few starting points I can give teachers to help them make things go a little more smoothly both in and out of the classroom on any given day. Be fair, and be prepared to defend your fairness. My students need consistency and that stems from me. They need to know that what I expect today is what I’ll expect tomorrow. And that if Bill gets to play on the computer when he finishes his work Sarah will too. Show your students you like them unconditionally. Many of my students have challenging behaviours. I go out of my way to show them that although I may not like some of their behaviour, I do like an respect them as an individual. Build in flexibility and choices to your schedule. But not too much. It’s a fine balance between giving options and making those options overwhelming. I usually like to give two options, when it comes to tasks and to make those options open to the whole class. I’ll then negotiate further with individuals if needed. The key is to keep in mind your objective rather than your lesson. If your aim is to improve writing, and your student is happy to write, does it really matter what they write about? Think carefully about change. How can you make it a preferred change? When is the best time to tell the student about that change? What contingency plans do you have in place if the change doesn’t work? A change that is planned for is rarely as devastating as one that isn’t. Get to know the special interests of your students. Watch videos, read books and understand that interest as well as you can. It is your most valuable tool. Talking about it will help calm them when they are upset and engage them in their work. For students who are struggling, developing individualised schemes of work around their special interest will make an enormous difference. There is very little, that with a little forethought cannot be done this way. Trust me, it is worth the effort. Build in reward systems that don’t cause added pressure. 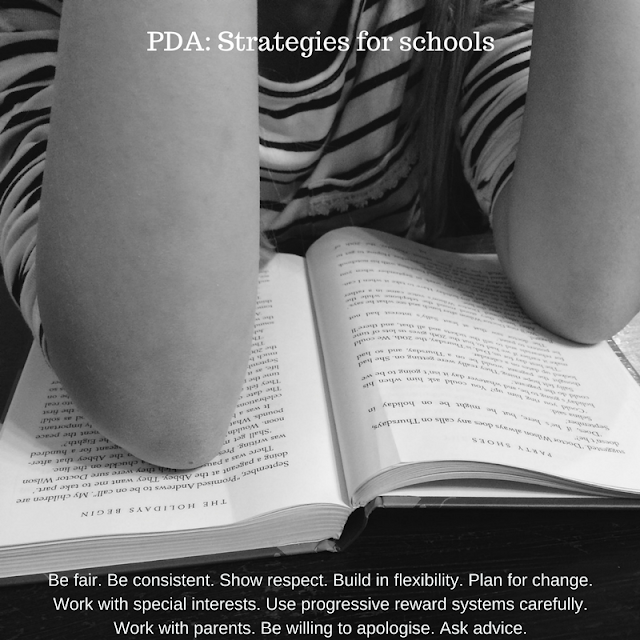 All or nothing systems do not work well for most students with PDA. So for example instead of saying if you have a good week you can have a reward, use a token board system where students get their reward after completing so many good lessons. 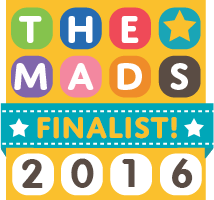 This way nothing is lost if things go wrong as tokens which have been earned can be carried over to the next week. 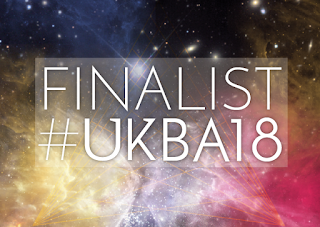 You avoid Meltdowns from a student who has managed brilliantly until Thursday and then had a bad morning, and avoid scenarios where everything has been lost on a Monday morning so there is no point in the student working. It’s also much harder for a student to sabotage their own success for fear of failure, as progressive reward systems mean that it’s very hard to fail. 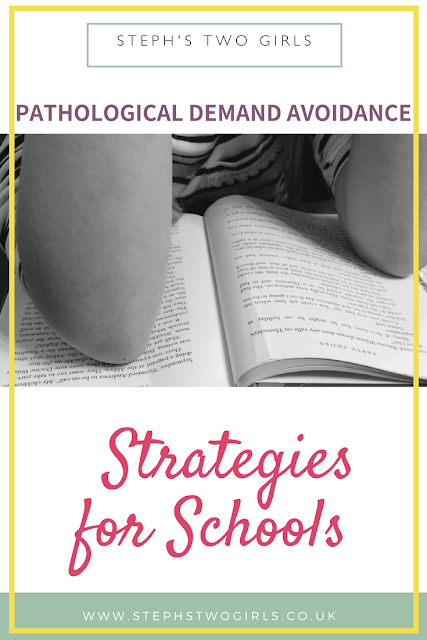 Try whenever possible to avoid sending students home because you feel that their behaviour has become unmanageable. If you do so it is likely to quickly become a vicious circle with behaviours escalating as the student tries to get sent home. Instead work with parents to find other strategies to help the student to calm down in school. Even when it isn’t your fault. If a student is upset with me, they are unlikely to work for me. Fixing that relationship is important. I usually start our conversation with, ‘I’m sorry I upset you, that wasn’t my intention.’ It’s a great start to putting things right and makes students much more receptive to continuing the conversation. You don’t have to do it alone. Talk to parents, other teachers or specialist staff. Become familiar with the National Autistic Society website and the wealth of other ideas on line. It’s ok to admit that you need help. Above all remember that you won’t get it right all of the time. What’s important is that when it does go wrong, you analyse why and make changes so that the next day is a better one. Work with parents, be honest with them always. Together you will get there. Thanks so much to Victoria for this; for more educational insights please do check out starlightandstories.com. If you are an educator or a parent and have any other great ideas and examples to share, please leave us a comment below so we can help spread good practice! 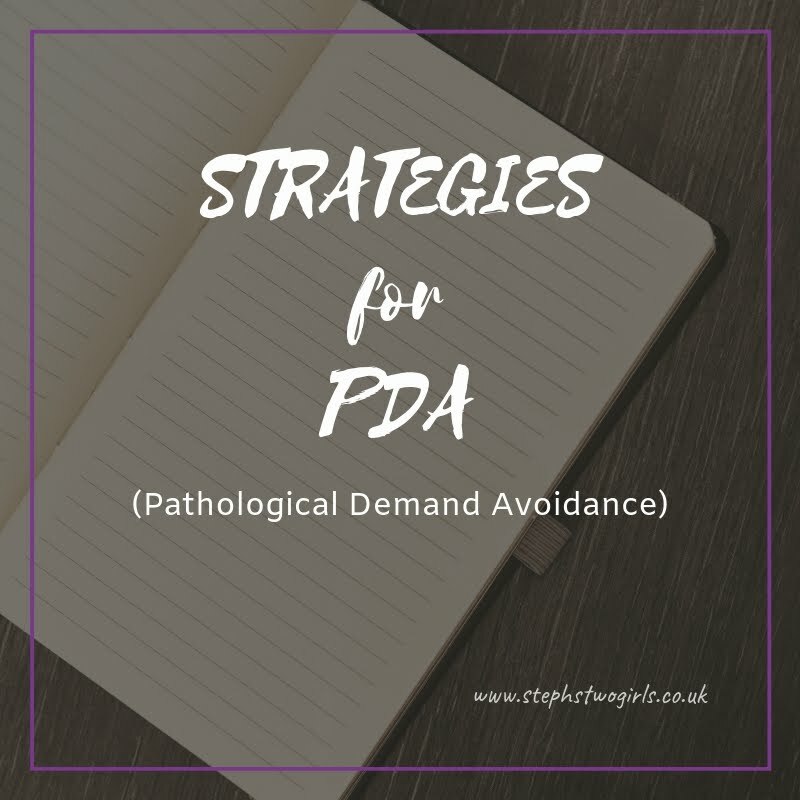 For strategies for parents to use at home, please see Strategies for PDA and for more info on ODD vs PDA see The difference between PDA and Oppositional Defiance Disorder.